Join the Chamber for great networking opportunities and fantastic events. Membership of the Australian British Chamber of Commerce provides unrivalled networking and business opportunities. Join our Membership group to gain direct access to our network, attend national events, contribute to publications, receive member-only offers and more. The Australian British Chamber of Commerce is committed to creating opportunities to foster the growth and development of Australia's commercial relationships with Great Britain. We will be hosting an expert panel discussing the importance of Agribusiness on 12th June in Brisbane. With farm production worth around $60 billion in 2016-17 to the economy, the sector earns around $45 billion in export revenue, according to the Australian Bureau of Agricultural and Resource Economics and Sciences (ABARES). This discussion will provide relevant and important insights to a crucial economic topic. #agribusiness Our panel includes CEO Travis Tobin, Dr Peyman Moghadam & Anne-Maree Weston Join us to listen to our nation's leading experts opinion on this important topic. 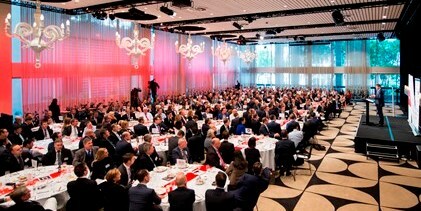 http://ow.ly/msVh50qI2oO See our website for other Agribusiness lunch dates nationally. 23 hours 21 min ago. We will be hosting an expert panel discussing the importance of Agribusiness on 22nd May in Perth. With farm production worth around $60 billion in 2016-17 to the economy, the sector earns around $45 billion in export revenue, according to the Australian Bureau of Agricultural and Resource Economics and Sciences (ABARES). #agribusiness Our panel includes BDO's Partner Michael Macolino, Executive Director Liam O'Connell and WA Farmers CEO Trevor Whittington Come join us to listen to our nation's leading experts opinion on this important topic. https://abcc-eventresponse.secure.force.com/EventDetail?Id=a1L6F00000KDgwnUAD We will also be running Agribusiness lunches in Adelaide (8 May), Melbourne (16 May), and Brisbane (12 June). Go to our website to find out more! 5 days 23 hours ago. Whilst our Gin Tasting event was underway in Sydney last week, the ABC News spoke to some of our Members about #Brexit from a #British perspective. https://drive.google.com/file/d/1OlNECSnWH48DEyvh0e-sh1OS2yPKxrbz/view 1 week 2 hours ago.